Welcome to America's First Cathedral, the Basilica of the National Shrine of the Assumption of the Blessed Virgin Mary. In addition to our rank as a Minor Basilica, the church is also a national shrine, Marian shrine, National Historic Landmark, and cocathedral of the archdiocese of Baltimore. We welcome all to visit and worship in what Pope John Paul II referred to as "the worldwide symbol of religious freedom." The Basilica is also one of Baltimore's beloved cultural institutions, offering educational tours daily, as well as hosting uplifting concerts, and informative lectures. We also invite you to visit the beautiful Pope John Paul II Prayer Garden, adjacent to the Basilica, at the corner of North Charles and Franklin Street. The fifteen-story skyscraper was erected in 1911 — identified as the tallest building in Baltimore until 1923 — for Bromo-Seltzer inventor, "Captain" Isaac E. Emerson, and inspired by the Palazzo Vecchio in Florence, Italy. The tower was virtually abandoned in 2002, but in early 2007 the Baltimore Office of Promotion and the Arts began renovations to transform the building into thirty-three artists' studios. 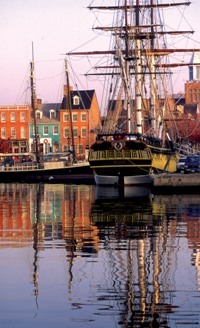 Four ships and a lighthouse that are all national historic landmarks are a must-see for any Baltimore visitor. Come see the U.S.S. Constellation, U.S.S. Torsk, U.S.C.G.C. Taney, Lightship 116 Chesapeake, and the seven-foot tall Knoll Lighthouse. Enjoy "hands-on encounters with history," demonstrations, activities, overnight adventures, and tours. 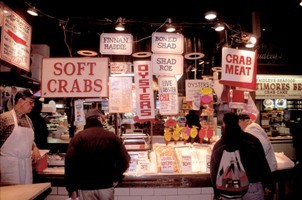 A superb setting for some casual down-time, the Lexington Market dates to 1782 — almost as far back as our nation's birth. Local flavors abound, with countless international cuisine stalls, bakers, butchers, and candy vendors. Gift shops and retailers are also on hand for anyone with a shopping bug. This memorial is inspired by an artifact from New York’s World Trade Center — three twenty-two-feet long twisted and torn amalgamated steel columns from the Twin Towers. The memorial provides a place of contemplation and a site to remember and to reflect upon the events of September 11, 2001, while paying tribute to the sixty-nine Marylanders who lost their lives that day. Each year on September 11, the Baltimore's World Trade Center acts as sundial to mark the chronological inscriptions of the events of that tragic day. 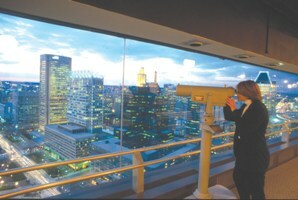 A spectacular and unforgettable view of Baltimore awaits you from the top of the world’s tallest pentagonal building. New exhibits about local landmarks, famous people and "firsts," and historic events will engage and inspire you to explore more of Charm City! Adults: $5. In 1815, the first architectural monument planned to honor George Washington was designed by Robert Mills, who also designed the Washington Monument in Washington, D.C. Construction began in 1815 and was completed by 1829. The 178-foot doric column holds a ground-floor museum offering information about Washington as well as construction of the monument. 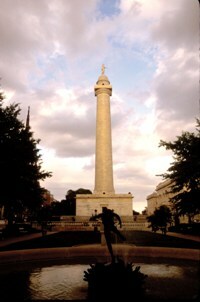 The monument was open to the public to climb to the top until June 2010, when it was closed for safety reasons. *Please note that hours are subject to change. Please check with the facility prior to visiting to ensure that no changes have been made since this information was posted in this publication.